We take a look at Game 1 of the 2018 NBA Finals where the Golden State Warriors, lead by Step Curry, look to stop the Lebron James lead Cleveland Cavaliers. Read our full preview and get view our Game 1 and series betting tips below. It’s a case of déjà vu in the NBA Finals. 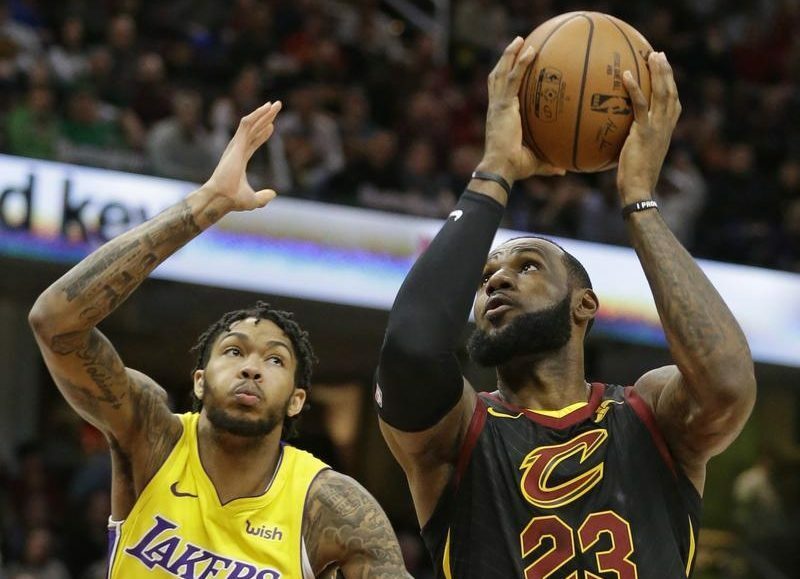 For the fourth straight year, Steph Curry’s Golden State Warriors and LeBron James’ Cleveland Cavaliers lock horns in the NBA’s showpiece finale. The Houston Rockets and Boston Celtics threatened to end the record streak of the two teams appearing in the most consecutive NBA Finals, but in the end the old sparring partners found a way to book their spot in the best-of-seven finals which tips off in Oakland. Last season, the Warriors and Cavs created history as the first two teams to meet in the NBA Finals for three consecutive seasons. The Warriors are looking to capture their 3rd NBA Championship in four seasons while the Cavaliers are searching for their 2nd in three seasons. The defending NBA Champions will be missing Andre Iguodala, who has a bone bruise in his leg, while the Cavs could be missing forward Kevin Love, who remains questionable and needs to pass a concussion protocol to play. Love missed the Cavs’ game 7 win over the Celtics after clashing heads with Boston’s Jayson Tatum in game 6. In the absence of Love, the Cavs will look to JR Smith and Jeff Green to pick up the scoring slack. Green was huge for the Cavs in game 7, logging 19 points and 8 rebounds and if Love is out again, they’ll need a similar production from the Cavs forward. As always, the King, LeBron James holds the key for the Cavs and if they’re going to steal an early series lead, they’ll need him to produce some more big numbers. James is back for an incredible 8th consecutive NBA Finals and he was sublime in the Cavs’ 87-79 game 7 victory over the Celtics in the Eastern Conference Finals, sinking 12 of 24 from the field to go along with 15 rebounds, 9 assists and 3 blocks. Steve Kerr will be hoping for another explosive game from his All-Star guard Steph Curry, who was instrumental in the Warriors’ game 7 comeback against the Rockets in the Western Conference Finals. In typical Curry style, the Warriors guard nailed 4 of 5 from downtown in the third quarter as the Warriors outscored the Rockets 33-15. Curry was 5 of 6 overall for the quarter, collecting 14 of his 27 points in that third frame. At Oakland, the Warriors are 82-18 overall since 2016/17 while the Cavs are 52-49 on the road over the same period. As the favourite, the Warriors are 149-38 since 2016/17 with an averaging winning margin of 15.5 points. As underdogs, the Cavs are 18-27 over the last two seasons. The two NBA foes clash for the third time this season with the Warriors winning on Boxing Day (AEST) in Oakland and in Cleveland three days later. Golden State are 219-49 (81.7 percent) as favourites in night games since 2015/16. The Cavaliers have a 3-9-2 (28.6 percent) O/U record against the Warriors at Oracle Arena since 2014/15. It’s a massive blow for the Cavs if Kevin Love, averaging 13.9 PPG and 10 rebounds), doesn’t suit up for game 1, but he’ll no doubt be given the longest possible time to prove his fitness. With or without Love, the Cavs have struggled against the Warriors in Oakland and have lost their last 5 on the Warriors’ homecourt. They have especially struggled to score after being held to 92 points or less in 3 of those 5 losses. Steve Kerr’s men will be keen to make a statement and take care of homecourt in the NBA Finals opener and if it isn’t Curry with the hot hand, it’ll be Klay Thompson or Kevin Durant.